Part of the Department of Health and Human Services, the Substance Abuse & Mental Health Services Administration (SAMHSA) makes grants to various agencies to prevent and treat addictive and mental disorders and furthers its work through public campaigns, system reform, policy and program analysis. 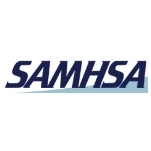 SAMHSA seeks to improve the quality and availability of prevention, treatment and rehabilitation services in order to reduce illness, death, disability, and cost to society resulting from substance abuse and mental illnesses. At times the agency has taken public stances on controversial issues such as homosexuality and transgender identity and treatment of heroin addiction. The National Institute on Alcohol Abuse and Alcoholism (NIAAA) was formed in 1970, when President Richard M. Nixon signed the Comprehensive Alcohol Abuse and Alcoholism Prevention, Treatment, and Rehabilitation Act of 1970. Also known as the “Hughes Act,” because Senator Harold E. Hughes sponsored the bill, this law recognized alcoholism as a major healthcare problem and established the NIAAA as a way to combat its effects. The National Institute on Drug Abuse (NIDA) traces its roots to 1935, when the Addiction Research Center was established in Lexington, Kentucky. In 1972, the Drug Abuse Warning Network and National Household Survey on Drug Abuse were created to help study and treat drug abuse in the United States, as well as diseases associated with drug use, such as AIDS and hepatitis. In 1974, all three agencies were folded into the National Institute on Drug Abuse. The agency began to monitor the drug use of high school seniors in 1975 with its Monitoring the Future Survey. (The survey was expanded to8th and10th graders in 1991). The National Institute of Mental Health (NIMH) was formed after World War II, when increased lobbying called for a federal initiative to diagnose and treat mental health problems. Repeated attempts to form a National Neuropsychiatric Institute failed, but in 1946, Robert H. Felix, head of the Division of Mental Hygiene, urged Congress to pass the National Mental Health Act, which was signed in 1946. The bill called for the establishment of a National Advisory Mental Health Council (NAMHC) and advocated research, treatment programs and prevention initiatives. On April 15, 1949, the NIMH was founded. Felix was named director, and immediately began to help shape mental health policy in the United States. On October 1, 1992, the Alcohol, Drug Abuse, and Mental Health Administration was abolished. A new agency, Substance Abuse and Mental Health Services Administration (SAMHSA), became part of the Public Health Service (PHS). SAMHSA was founded on the principle that people of all ages, whether suffering from or at risk for developing mental illness, could enjoy a fulfilling life, with a home, social life, education and suitable employment. Statement on the Oversight Hearing on Programs of the Substance Abuse and Mental Health Services Administration (SAMHSA) and SAMHSA Coordination with the National Institute on Drug Abuse by Alan I. Leshner. The Substance Abuse & Mental Health Services Administration (SAMHSA) seeks to improve services for the treatment of drug abuse and mental disorders. It tries to expand access to mental health care, promote safe and effective programs for people suffering from or at risk of developing mental conditions, advocate for families of those suffering from mental disorders and facilitate greater mental healthcare overall. With more than 22 million Americans aged 12 or older diagnosed with substance abuse or dependence in 2005, and an additional 25 million American aged 18 years or older living with a serious mental health condition, SAMHSA seeks to reduce the physical and emotional toll of these illnesses by prevention and early intervention, through research, services and support. The Center for Substance Abuse Treatment (CSAT) is responsible for expanding the availability of effective treatment and recovery programs, improving access to treatment and removing obstacles to treatment and wellness. Additionally, CSAT promotes treatment programs to those suffering from drug and alcohol problems and works with the families of those affected, providing support and additional information on treatment options. This is in support of President George W. Bush’s Access to Recovery Initiative, a voucher-based program designed to expand access to treatment for drug or alcohol problems. A $98 million discretionary grant has increased the capacity of this program from 125,000 to 137,579 as of December 2006. After receiving services, 81% of clients have stayed clean, and 51% are living in stable housing, according to CSAT. Through the use of their Screening, Brief Intervention, Referral, and Treatment (SBIRT) program, SAMHSA seeks to expand care to community health centers, school-based health clinics, hospitals and emergency rooms, helping 74% of high-risk individuals to lower their drug and alcohol consumption, and 48% percent to stop entirely, officials claim. The Center for Substance Abuse Prevention (CSAP) is responsible for preventing the abuse of drugs in schools and neighborhoods. By developing policies, and implementing programs and services to prevent the use of illegal drugs and underage alcohol and tobacco use, CSAP tries to extend greater knowledge to states, communities and other organizations. After a resurgence of teen drug use in the 1990s, drug use among8th,10th and12th graders has declined by 23% since 2001, according to the center. The Office of Applied Studies (OAS) collects, analyzes and disseminates information related to drug and alcohol abuse, as well as information related to behavioral health issues. OAS is responsible for the annual National Survey on Drug Use and Health, the Drug Abuse Warning Network and the Drug and Alcohol Services Information System, among other studies. The Center for Mental Health Services (CMHS) is responsible for ensuring the application of scientific findings on the prevention and treatment of mental disorders. It provides access to mental health care, helps to remove obstacles to treatment and extends help to the families of those dealing with mental disorders. CMHS also promotes effective programs and services for people with mental disorders or at risk of developing them. The Office of the Administrator (OA) is responsible for developing the agency’s policies and programs. It maintains liaisons with the Office of the Secretary about current programs and initiatives and coordinates between SAMHSA and the National Institutes of Health (NIH) on research related to alcohol, drug abuse and mental health. In addition, the Office of the Administrator analyzes legislative issues, interfaces with Congressional committees and coordinates agency communications. The Office of Policy, Planning and Budget (OPPB) develops and implements the administrator’s policies and programs by performing the chief financial officer function. It manages the formulation and execution of the yearly budget and helps to manage program planning activities. Finally, OPPB leads the Center Office of Policy Analysis and Coordination (OPAC) and oversees agency staff to ensure the implementation of budget & planning policies, as well as policy review. The Office of Program Services (OPS) partners with other SAMHSA and HHS components to manage grants and contracts, application review, administrative services, human resources management, equal employment opportunity, organizational development and analysis and information technology. OPS takes the lead in developing policies for SAMHSA’s administrative and management systems and measures performance and improvement of these areas. OPS also oversees the agency’s information technology and administrative needs while conducting all aspects of the grants and contracts process. In addition, SAMHSA addresses the nation’s disaster-related mental health and substance abuse issues through the Disaster Technical Assistance Center. By providing assistance at the community level during and after emergencies, SAMHSA tries to help mitigate the effects of related disorders. In the wake of 9/11, SAMHSA held a national summit in New York City to address community needs and facilitate readiness for the war on terrorism. During Hurricanes Katrina and Rita, the agency provided information, resources and personnel to provide support on the ground. The agency continues to provide support through grants, training and technical assistance. SAMHSA spent more than $2 billion this decade on contracts with 524 different companies and organizations, according to USAspending.gov. The most expensive goods and services that the agency purchased were social services, information and data broadcasting or data distribution services, administrative support services, data entry and basic research. In April of 2007, Join Together Online reported that a growing number of methadone-related deaths prompted physicians to question the use of methadone maintenance treatment (MMT). However, SAMHSA responded that MMT and clinics are not the problem. Instead, they suggested that doctors had been prescribing the drug as a painkiller. “While deaths involving methadone increased, experiences in several states show that addiction treatment programs are not the culprits,” said Dr. H. Westley Clark, Director of SAMHSA’s Center for Substance Abuse Treatment. On April 9th, the Associated Press reported that the state of West Virginia had put a moratorium on opening new MMT clinics. A SAMHSA official said that 85% of these involved drugs from pharmacies, not methadone clinics. In October 2005, SAMHSA’s board members met with several advocacy groups who have been prominent and outspoken critics of mental health screening and using psychiatric drugs on children. SAMHSA Administrator Charles Currie indicated that the Bush administration formally disavowed TeenScreen, a test designed to identify mentally ill children. As well, SAMHSA backed away from the Texas Medication Algorithm, project (TMAP), which identified anti-depressants as a first line, and sometimes only, treatment method. Whistleblower Allen Jones, a former investigator in the Commonwealth of Pennsylvania Office of the Inspector General (OIG), had previously written President Bush’s Freedom Commission initiative was striving to form a “political/pharmaceutical alliance,” which would promote the use of newer, more expensive antipsychotic and antidepressants “of questionable benefit and deadly side effects, and to force private insurers to pick up more of the tab.” Currie indicated that these TMAP toolkits had been removed from SAMHSA’s public materials. EEG biofeedback easily meets the research standard for SAMHSA’s evidence-based practice list for addictions. All the research shows at least 65% and typically 80% long term success rates. Which is really quite good. Yet, the Washington DC technocrats prevent EEG biofeedback from getting on the list because they say it is a physiological intervention and not behavioral or psychosocial. “Not simply an intervention that is manipulating electrical responses.” So I’ve been in touch with the group that maintains the list. They say there an appeal process for rejection from the list, but not for an out of scope determination. I’d like to challenge that in a variety of ways with several arguments from diverse credible sources and organizations. The technocrat will be sending me more detail on their rationale and have invited my response to their decision. hi i work for a recovery serve of northwest ohio,i was wondering whom or how do i report things ive seen ,who investigates alligations .